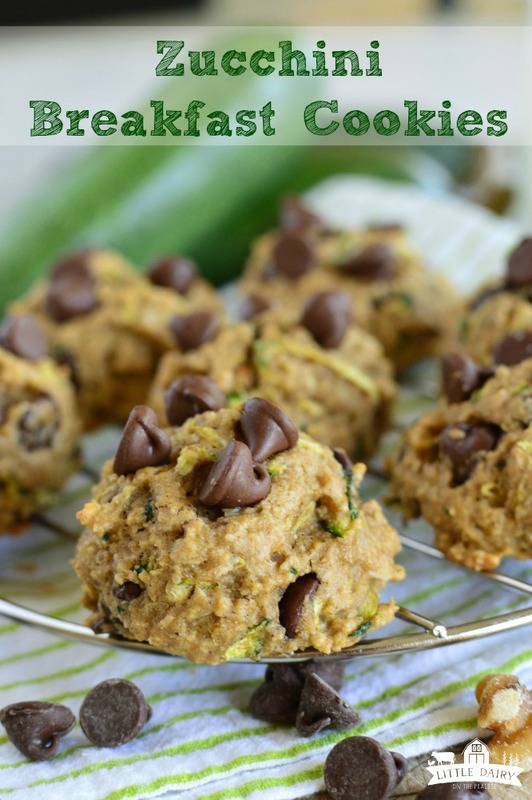 Zucchini Breakfast Cookies are so soft, sweet enough to be delicious, but not too sweet for breakfast! They are an easy grab and go breakfast! Be sure to make extras to stick in the freezer for later! Using up all that bountiful zucchini never looked so good! NOTE: This post was originally published in 2014. The photos and story were updated in 2018. The recipe stayed the same because we love it just the way it is! My boys are starting school next week. Yes, next week. Of course nobody at my house is excited about that. We love working together and playing together in the summer. Summer schedules are my favorite because we don’t have a schedule! We do whatever we want whenever we want. Don’t get me wrong, there are lots of early morning chores to do on the farm, but it’s just different. 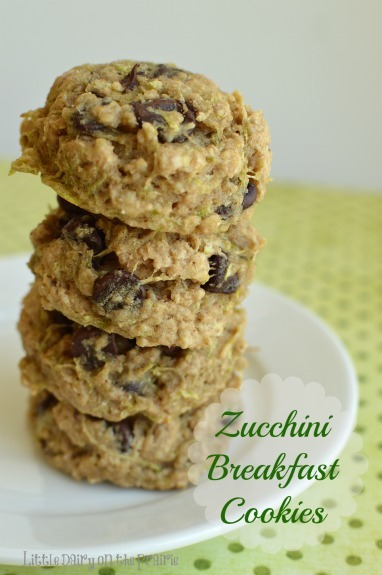 Zucchini Breakfast Cookies are great back to school breakfast! Anyway, during the school year we have a hard time going to bed early which means we have a hard time happily getting up early. The other day I decided I would get a head start on the dreaded mornings that I know are coming. I made some Zucchini Breakfast Cookies and froze them. I even put fun messages on some of the bags. Maybe my boys will feel a little more loved on the extra early days when they will be heading out the door by 5:30 for those early morning piano lessons. Yuck! I have been searching for the “perfect” breakfast cookie for a while now. Most of them I try either taste pretty much like a jar of wheat germ (too healthy). The ones that don’t taste too healthy, end up tasting exactly like regular cookies (because they are). I have a serious sweet tooth but I just can’t handle eating dessert cookies first rattle out of the box. 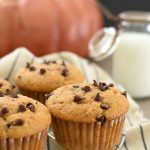 How do I make oat flour at home? Watch this video to see exactly how to make these cookies! It’s a really easy recipe to follow! 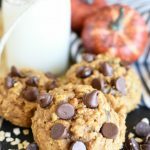 I love using oat flour for these cookies. 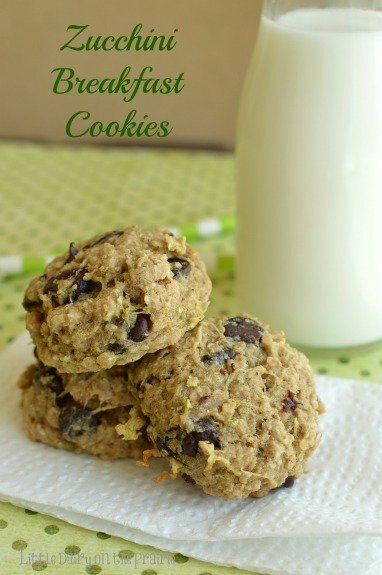 It gives the cookies the best texture, extra nutrition, and makes them healthy! I always measure the oats first, blend them in my blender until it makes a flour. Then use that amount in my cookies! How do I prepare zucchini for baking? Grating zucchini an easy way to prepare it for baking. You can grate it using the fine or more coarse side of the grater. Peeling zucchini before grating is optional. You can see the green peel in baked goods if you don’t grate it first. It doesn’t alter the taste at all. Some recipes require wringing grated zucchini before adding it to a recipe to eliminate some of the liquid. Check to see if the recipe instructs you to wring it or not. I almost always add zucchini as the last ingredient, then gently stir to combine. Adding it earlier in the recipe, then over mixing will wring the zucchini right in with the recipe and can produce extra liquid. How do I successfully freeze zucchini? Although millions of people have successfully frozen zucchini to use later, it’s not my favorite way to freeze zucchini. It always ends up watery and the texture just isn’t the same after it’s been frozen. I prefer baking zucchini muffins, bread, and cookies and then freezing the baked product instead of freezing the zucchini alone. Having zucchini bread in the freezer and ready to go is a lifesaver on busy days! My family loves it for breakfast and dessert! Fantastic recipes for using zucchini! 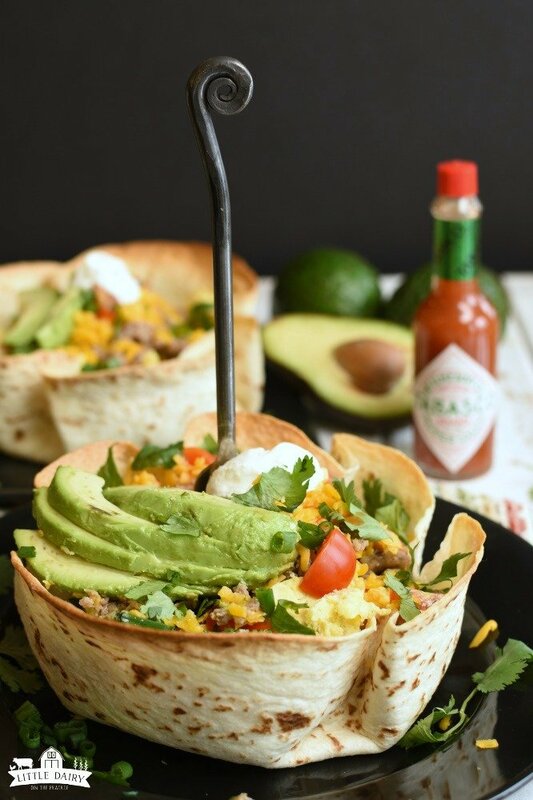 Other make ahead breakfast recipes you will enjoy! Whenever my kids find out they are getting cookies for breakfast you better believer they are excited! I’m excited too because all I have to do is pull a bag of cookies out of the freezer and toss it to them! Easiest breakfast ever and no complaining about it either! Now that’s the perfect way to do mornings! 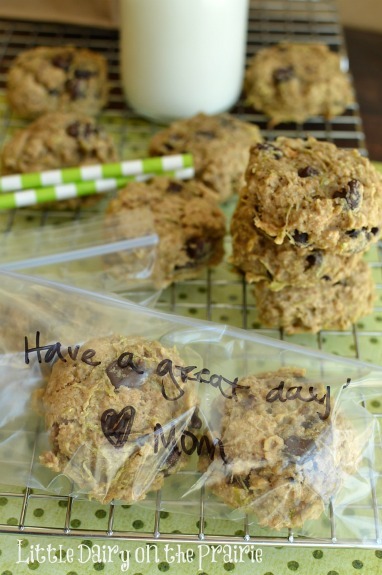 I’m not going to lie to you…even Zucchini Breakfast Cookies don’t make my kids excited for school! If any of you figure out a way to make wild farm boys excited about being caged up in a classroom all day please let me know your ways! We’ve got the cookies, but that’s about the only thing we’re excited about when it comes to school. Wish me luck! 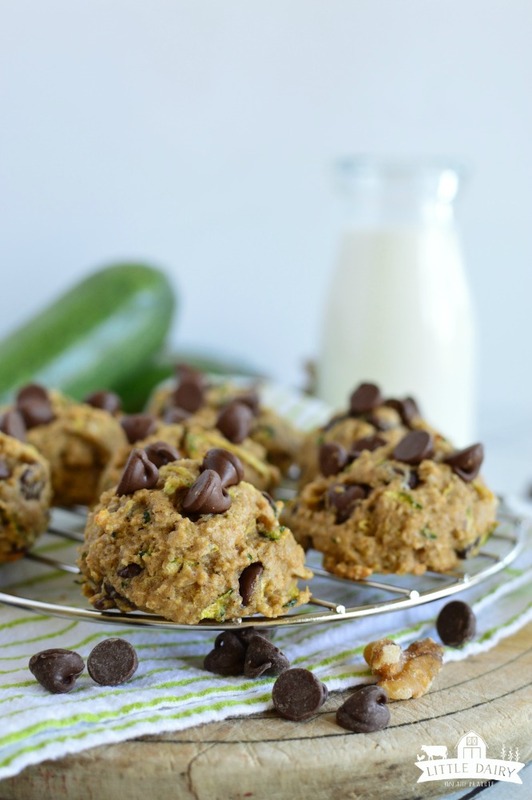 Grab the Zucchini Breakfast Cookies Recipe! 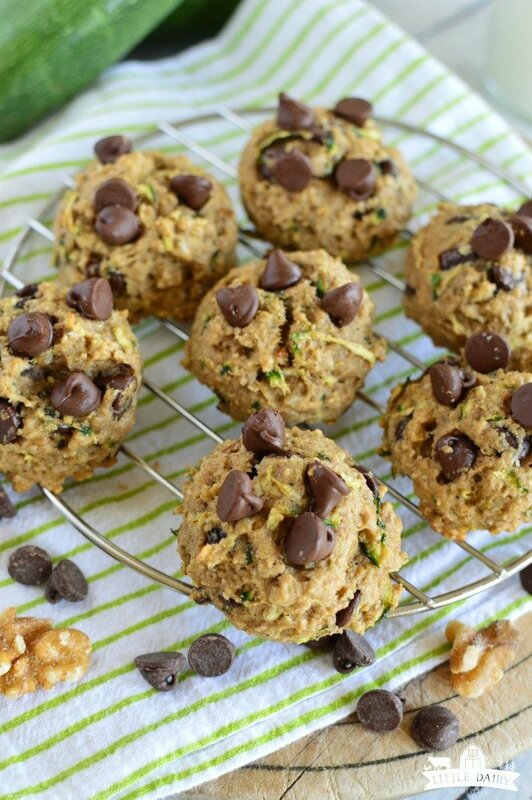 Zucchini Breakfast Cookies are super soft, healthy and perfect for on the go breakfasts. They have a muffin like texture! If desired, blend one cup of oats and make oat flour. This isn't necessary, I like it better though. I can see why you needed to post a sticky note on the cookies, that is my girl. Maybe someday the boys will write on a sticky note telling you how awesome the cookies were. They are going to love the handwritten note on the baggy more than the cookies, believe me. Zuke cookies beat the heck out of eating breakfast at the cafeteria. Way to go Mom. I can’t wait for you to make them Kelley! If you have zucchini, chances are you are looking for lots of ways to use them! I love it! Thanks for the feedback Kaye! 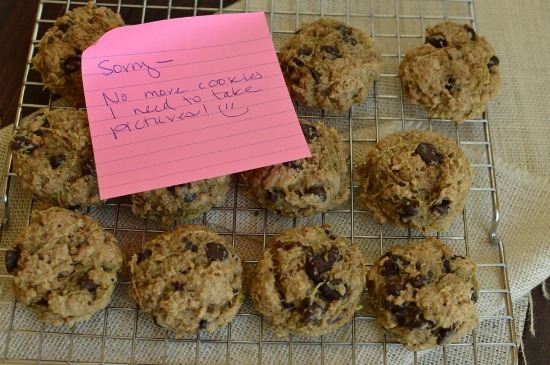 Seriously, I had to put a note on these cookies so I could take pictures before my family devoured them! They really are delish! I cant wait to try these cookies! I’ve been looking for a good breakfast cookie too. I was wondering if you squeeze out some of the water from the zucchini? I loved these cookies because they truly taste like something you should eat for breakfast, not like dessert! I didn’t squeeze the water out of the zucchini. I grated the zucchini first and let it sit while I prepared the rest of the ingredients. As it sits some of the water from the zucchini puddles up around it. I didn’t add that water and they were still super moist. I hope you love them! I squeezed the water out because I used honey instead of sugar and you’re supposed to leave out some liquid. I squeezed too much though and they are a little dry, next time I won’t squeeze so hard! These are very good. I added a small gala apple just because. My daughter and I couldn’t stop eating them. Great idea Delisa! I always love apples but this time of the year they are extra delicious! I love that they are pretty good for you too. That way you don’t have to feel guilty about eating too many of them! I’m glad you are trying these Denise! I bet you will like them! these are wonderful!! 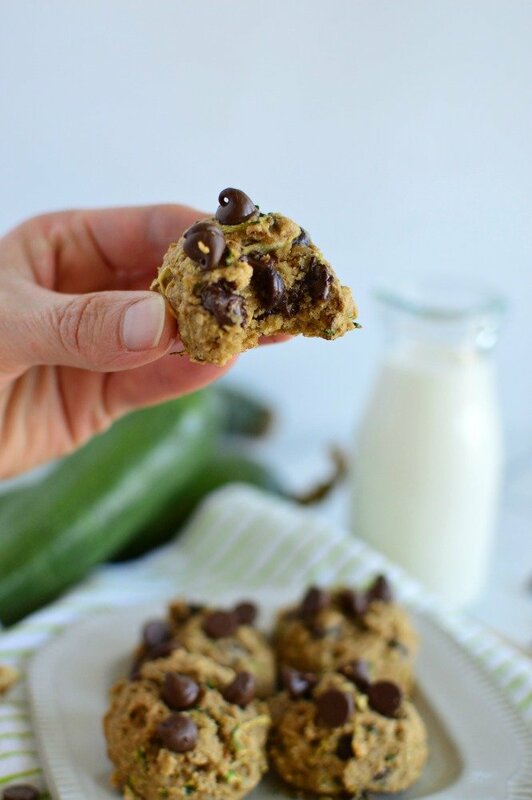 I’ve been making a chocolate chip zucchini cookie for years, but these are healthier, and just as delicious! Perfect for an after school snack (or any other time for that matter). My kids just gobbled them up!! Totally freezing some dough for the winter months. Thanks for the recipe! 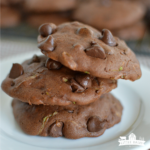 Zucchini and chocolate were meant to be together! Mandy, let me know how freezing the dough works out for you. I always bake these cookies first then freeze them. I freeze these cookies for up to three months. I imagine they would last longer than that, but I haven’t tried it. My family lives a long ways from the grocery store so we end up eating a lot of food that has been frozen before. Maybe we are a little too used to it and don’t notice funny freezer tastes as much as other people do. Good luck with it! I made these for a priest friend of mine and he loves them. He says they are perfect for his diet and lifestyle and wouldn’t change a thing. I will be keeping him supplied with these gems from now on. Thanks so much! I’m glad your friend loved them, Rosemary! I wish we could grow zucchini all year long! Great idea Christie! I’m always looking for ways to make things a little healthier. That way I can eat more ice cream at night! Ha Ha! wonderful!! I love the tip about making partial oat flour. Much smoother batter. These are so tender and just the right amount of sweet. Thank you!! I’m beginning to get giddy about planting zucchini! 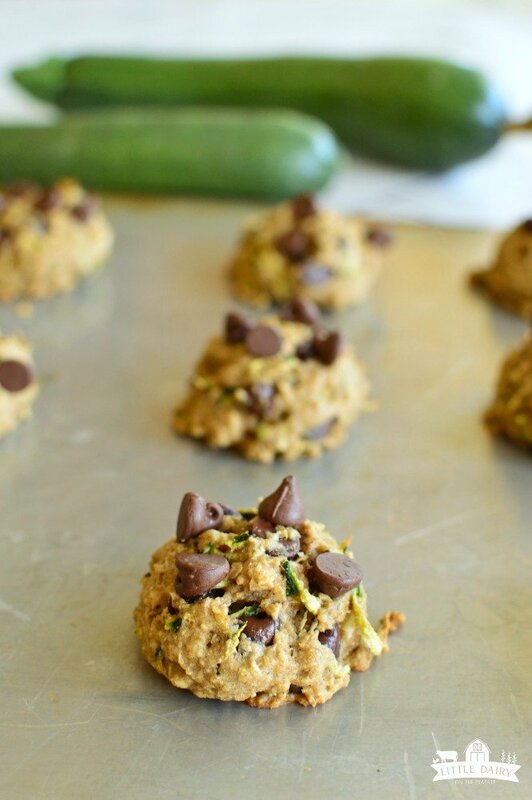 These cookies are always a favorite during the plentiful zucchini season! I grew Zucchini for years in Oregon and found that you don’t need to miss out on it during the winter months. Simply grate your Zucchini, measure out the amount you want for your favorite recipes and freeze it in Zip Lock Bags. I use quart size for 2-cup recipes. Flatten the bags to get as much of the air out as possible and stack them like a pile of books in the freezer! Be sure to label the amount on the bag so you know which recipe it is for. I usually had all I needed to keep us in Zucchini Bread all winter. Thanks for the tip! I have tried freezing grated zucchini before. It works wonderfully and who could resist having zucchini available all year long? Sometimes I like to spend the whole day baking and freezing zucchini cookies and breads so I have a few ready to go treats in the freezer! How many cookies is a serving? I only ask because I would willingly eat 10 in one sitting without remorse! Much to my detriment, I don’t worry about how many cookies are in a serving. This recipe makes about 20 cookies and I usually try to limit myself to about 2 cookies in one sitting! No remorse!! Made these this morning with zucchini I wanted to use up! We only had white chocolate chips but they were still absolutely delicious. My toddler gives her seal of approval as well. Toddlers give the most honest feedback! I’m glad she loved them! Chelsie, I take them out of the freezer and let them sit at room temperature until they thaw. It only takes a little bit for them to thaw. My kids usually gobble them up at this point but, it makes them seem a little more fresh if I microwave them for just a few seconds. Enjoy! These are delicious! Not overly sweet and not soggy – just a yummy little cookie! I used white whole wheat flour and coconut oil with great results. These would be great with raisins, too! Raisins would be yummy Mary! It’s good to know they can be made more healthy by switching a few ingredients. My zucchini are just coming on and I can’t wait to start turning them into desserts! I know lots of people freeze grated zucchini, but I prefer to just make bread and cookies and freeze those. It’s a life saver on those busy days to have something yummy stowed away in the freezer. Enjoy! These sound wonderful. I am looking for ways to use my garden zucchini. One question. I only have white flour on hand, not wheat. Will it substitute okay? I don’t bake often and so wheat flour has never worked out for me because it gets bugs in it by the time I go to use it again. White flour should work just fine, Sara. It will change the texture of the cookies, but I think you will still love them! Good luck! thanks for sharing these are great. I used coconut oil and half wheat half spelt flour. I was out of walnuts so I used sunflower seeds. They turned out great!thank you! I love add ins, Katie! They make any cookie extra special and individualized to your particular tastes. Wheat flour is my favorite! Glad you enjoyed them! I just tried these out with a few modifications and they turned out wonderfully! I will be posting a review (with a link to your site) on my blog – thestepfordhomesteader.wordpress.com. Please feel free to stop over and check out some of my recipes! I would love to hear your input! Kati, I’m headed to your blog right now! I love altering recipes so I can use what I already have in my pantry or refrigerator. That’s what you have to do when you live a million, okay not a million, miles from the grocery store! Enjoy!! Made 2 batches of these today. They are delicous! I made on with raisins and walnuts the other with mini chicolate chips. I added 1 tablespoon of flax/chai seeds/grain. I lost 56 pounds doing Beachbody and have really been making clean eating baked goods which i feel this is. 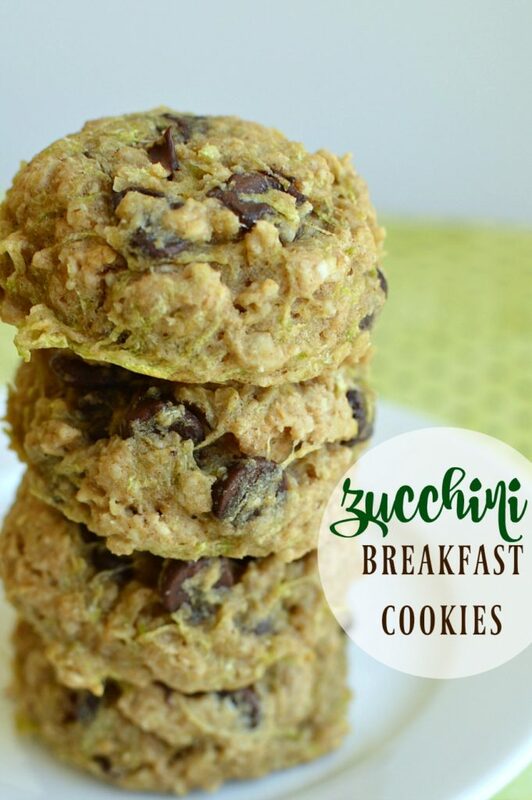 Nice change for breakfast!Of note, i shred a lot of zucchini in the summer and freeze in 2 cup measures in freezer bags and use to bake with in the off season.Thank you for sharing this recipe! Keeper! Congrats on all your hard work Cathy! In my opinion, you can’t beat eating cookies for breakfast, especially if they are healthy! And it’s a bonus that you can make them with your frozen zucchini all winter long! These sound amazing! Quick question…if I don’t blend the cup of oats, do I just use 1/2 cup of oats and 1 cup of flour, or do I need to add something in place of the oat flour it would have made? Thanks! I can’t say for sure because I haven’t tried not blending the oats in this particular recipe. I would use the 1 1/2 cup oats (not blended) and the cup of flour listed in the recipe. Let me know if it works for you! Made these this morning. They are delicious! Hard to believe they are meant to be eaten for breakfast! Thanks for a wonderful recipe. I know! Eating cookies for breakfast makes me feel like I am getting away with something! 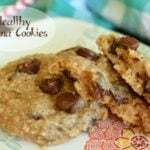 A healthy cookie, you can’t beat that! Good luck with your baby! I’m not sure of the nutritional information on these cookies. You can search for this recipe on “My Recipe Magic”, I think the nutritional information is listed there. Made these this morning but subbed teff flour for whole wheat. The kids loved these! Thanks. Glad you found a flour that works for you! Kids think they are getting a special treat when they get a cookie for breakfast! These are delicious!! Just wondering if you have the nutritional info? Thanks! I don’t have the nutritional information. This recipe is also posted on a site called “My Recipe Magic”. You can search for this recipe on their site and I think they list the nutritional information! Just made them, and the kids are eating them up! Instead of chocolate chips, I added some unsweetened cocounut, craisins, and butterscotch chips. Mine don’t look as pretty as yours, but they are great, and not too sweet! The perfect “on the go” breakfast. Thank you for sharing! I love it when people experiment with different “add ins”. You’ve go me thinking and now I want to try a few different flavors of breakfast cookies! This is the 2nd zucchini recipe of yours I’ve tried. We loved the Honey & Olive Oil muffins. Jenny, I don’t track calories, carbs, etc. This recipe is also posted on a site called “My Recipe Magic”. You can search for the recipe there and I think it lists nutritional information. I just made these today and they are delicious! I also blended the oats like you suggested. I did this in my vitamixer, which is actually my first time doing this and it was awsome can’t wait to do it again. How long do they keep in freezer? Just curious. Once I started blending oats in my vitamix, my life was never the same! Haha! I love blending my oats before baking with them. I’m not sure how long these freeze because my boys devour them before long. I’m guessing 3 months, maybe longer. It’s so nice to have an on the go breakfast in the freezer for those crazy mornings! I can’t wait to try this recipe! I wanted to know the best way to grate the zucchini, and do you remove the skin? (Love zucchini, but haven’t ever grated it before!). 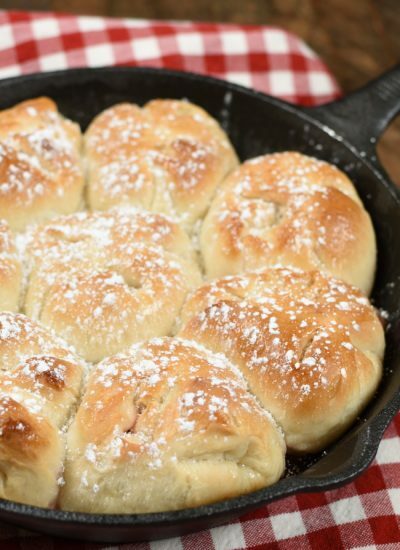 My hubby is a Railroader & I think this will be a great breakfast /snack for him to pack! I grate my zucchini with a box grater, using the bigger size grates. Some recipes require wringing zucchini out before baking with it. This one does not. It’s just fine to leave the skin on unless you don’t want the green color in you baked goods! Your railroader will love it! I can’t wait to try this recipe tonight! I have finely grated almond flour or I have coconut flour. Do you think either of these would be OK to substitute the wheat flour and what kind of measurements would I use for them? I’m sorry Danielle, I haven’t ever used coconut or almond flour. I’m not sure what would happen if you substituted them. Maybe google can help with the measurement conversion. Good luck experimenting! I love creative substituting! It made me start thinking about chocolate and zucchini cookies and now my wheels are spinning! Thanks for sharing! I made these this morning, exactly as posted, and they were perfect. The things that I love about this recipe is it can be very versatile. Next time I’m going to use sunflower seeds and some type of chopped, dried fruit instead of the chocolate chips. Don’t get me wrong, the chocolate chips were wonderful, I just love the idea that I can mix it up according to whatever I have in my pantry. Excellent recipe. Oh, I don’t know about others, but I did not peel my zucchini. I actually like the look of the green peel, as well as the nutritional benefits. Yay! I’m glad you enjoyed these cookies. I rarely peel my zucchini because it’s just one more time consuming step. Besides that, I’m agree with you. The green peel is pretty! As far as add in’s go…I love experimenting! I’ve been looking for a zucchini baking recipe that is easy, tasty, and not-too-unhealthy. Most of them just have sooo much sugar, and the relatively modest amount in this one made me curious to try it, but expecting something less than delicious. However, I’m blown away by how good they actually are. I’m scarfing down my first batch right now, and will definitely be making another. I left out the nuts as I’m allergic, made a few with chocolate chips, a few with raisins, and a few just plain. Raisins were a good idea, and honestly, I even love the plain ones! Impressed. Yay! So glad these cookies didn’t disappoint! We all love zucchini because it’s a healthy vegetable, then we add a few cups of oil and a few more cups of sugar and try to convince ourselves we are eating vegetables! Ha! Don’t get me wrong, I stock my freezer full of zucchini bread every fall, and it’s not very healthy. But it is nice to have a healthy option that actually tastes good! I love experimenting with different add ins! I think an experiment is afoot! I will let you know how it turns out, shall I? Gluten is my friend so I eat wheat flour in everything! Because I don’t have a problem eating gluten I haven’t ever experimented with almond flour. It’s always fun to try new things though, so let me know how it turns out! If you can’t have gluten try using Better Batter Flour from betterbatter.org. I use it for my daughter and it seems to replace wheat flour pretty well. Thanks for the suggestion! Eating gluten free is out of my wheelhouse! Could these be baked like brownies and then cut into bars?! They look so yummy! I’m sure it would work. It would be quicker than dropping cookies, and quicker is always a good thing! Do you happen to know if they freeze well? These cookies freeze really well. In fact, I always make extras so I can hand them to my kids on their way out the door to early morning piano lessons! Thanks for the recipe! They’re in the oven baking right now, we’ll see how they come out! I had to make some modifications (raisins instead of chocolate chips, pureed instead of shredded zucchini, no nutmeg, added cocoa powder) because of lack of ingredients on hand. Making these breakfast cookies into chocolate breakfast cookies is such a great idea! You can’t ever go wrong adding cocoa powder! Happy Fall! I’ve made these at least 8 times now, such a delicious breakfast cookie! I’ve made many different yummy breakfast cookies, but these are for sure my favorite 🙂 I kept meaning to comment, but hadn’t gotten around to it. I just have to say to anyone that may be reading this comment, MAKE THESE COOKIES!! Thanks for taking time to leave such a kind comment! These cookies are my favorite breakfast cookies too! They sound awesome. I have to omit the brown sugar but normal for me. I made these and they turned out great, thanks for the recipe! I substituted the chocolate with raisins to make them a bit more healthy. What a great way to us up garden zucchini. Yay! I’m glad you loved them! Substituting raisins is a great idea! Sounds yummy! I I loved the first batch. Unfortunately, I had to buy my zucchini. I can’t get out and it is at least two weeks before I place another order to be delivered, so my girlfriend picked up some zucchini for my next batch – a double batch. I am 78 and disabled. Even though, I still like to cook once in awhile. My neighbor and friend across the street is my age. She is from Iran. We like to share our cooking and I am looking forward to introducing her to your cookies. Hi Bev! I’m so happy you enjoyed making these cookies and how fun that you have a friend to share them with! Hopefully I’m still able to cook and bake when I am your your age! Have a great day! I made this for my family; everyone gobbled them up! My three boys – 6, 4, and 1.5 – would eat an entire batch for one breakfast, if I’d let them! Out of healthiness curiosity, I compared them to a zucchini chocolate chip muffin recipe. I didn’t do out all the math, but I am pretty sure these are healthier, and just as delicious (if not more!). Hi Melissa! You are so lucky to have three boys! That’s what I have and I wouldn’t trade it for the world! And of course boys love to eat cookies and get extra giddy when they get cookies for breakfast! I haven’t ever compared these cookies to a muffin, but from now on I’ll feel good about eating cookies! Glad you enjoyed them! Is wheat flour different that whole wheat flour? Hi Laura! I probably need to change that to read “Whole Wheat Flour”. Whole wheat is made from wheat and all purpose flour is even actually made using wheat. It has gone through more processing so more of the wheat kernel is sifted out. I’ll go edit that to eliminate confusion. Thanks! Can I substitute white flour for WW since I don’t have it available right now? Yes, you can substitute white flour for wheat flour although it will change the texture just a bit. They should still turn out great! I don’t have a comment, but a question. Yes! I don’t think it would be a problem at all to substitue olive oil! Happy baking! Just had to write and say thank you for this recipe! Today we made it in my FACS class, and we were all very pleasantly surprised with the great flavor. Healthy and tasty – awesome. Even had one student that does not eat fruits or vegetables try them and ate 2!!! That is success! Thanks for taking the time to let me know how they turned out for you! My middle child doesn’t eat any green veggies…well, unless they are hidden in cookies! These cookies are not overly sweet yet they still satisfy me! Glad you enjoyed them! Just baked these last night and they got a big tick of approval from hubby this morning! Thanks for the delish recipe. You just can’t beat cookies for breakfast! Happy Fall! What is the cooking time? The top of the recipe states 30 minutes. The directions state 13-14 minutes? Do the cookies flatten out ar they cook or did you flatten them after you rolled the dough into balls? It is 13-14 minutes per batch, which usually takes about 30 minutes total for me! Yes they do flatten a little as they cook but they are still a puffy cookie! I am excited to try this recipe! But I notice that it’s meant to be a heavier chewy cookie. I prefer my cookies to be a little crunchy or on the firmside. 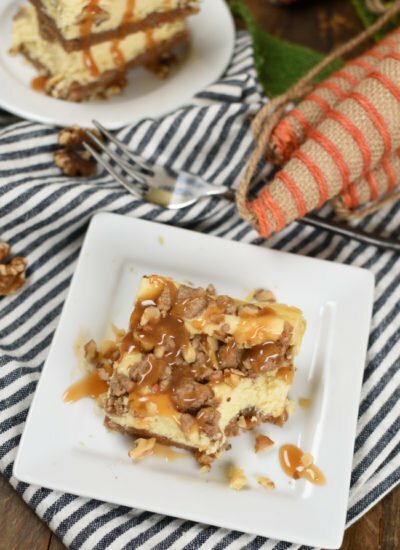 How would you suggest trying to achieve that with this recipe? This cookie is a cake like cookie. Zucchini usually makes baked goods extra soft so I really don’t think they would make a very good crunchy cookie. They are worth it though! Making right now. I wish I knew if they could be made in to bars instead. Hi Gwen! I haven’t ever tried making these cookies into bars before. I’m guessing it would work just fine though, although you will have to increase the bake time! Let me know how it goes! would it be possible to post nutrition info, serving size, calories, carbs protein? Hi Sharon! I’m in the process of switching recipe cards and the new one will include more information! Hopefully it will happen soon! Dear Amy, many greetings from Germany! I have just tried and tasted your cookies and I LOVE THEM. They are so soft and semi-sweet but hyper-delicious. Really awesome. Actually, I wanted to keep them for my husband, but two are gone already… oops! Hi Christina! I’m glad you, and your husband, fell in love with these cookies! 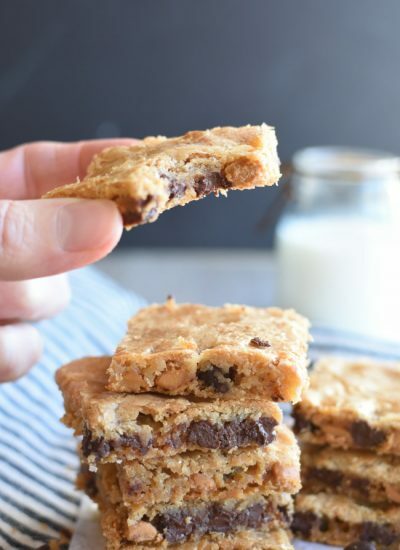 Of course I love overly sweet dessert cookies, but these are just right for breakfast! Enjoy! Would I be able to sub summer squash for the zucchini? My summer squash plants have been going gang busters this year and I need more recipes to get through them all. Hi Maryann! 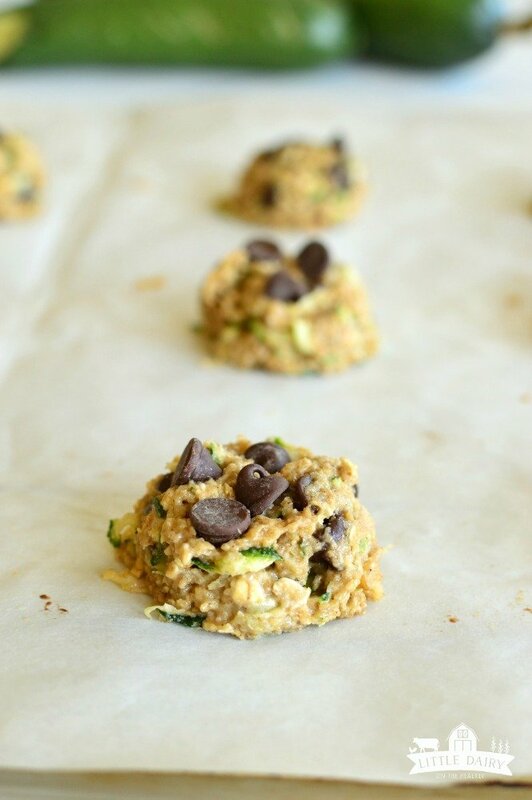 I’ve never tried making these cookies with summer squash, but I think it would work just fine. I’d try using small, tender summer squash! Let me know how it goes! Enjoy! Yes! I want to know how it works out! I imagine it would be perfectly fine! I tried it! They taste the same! I used small yellow squash, shredded, then chopped in my food processor. (Which is how I do the zucchini too.) Even my pickiest eater, who knew he was trying a new version of it, said it tasted the same. Yea! Something else to do with my million yellow squash! Thanks for letting us know how it went! It’s good to know there’s another way to use up those summer squash! 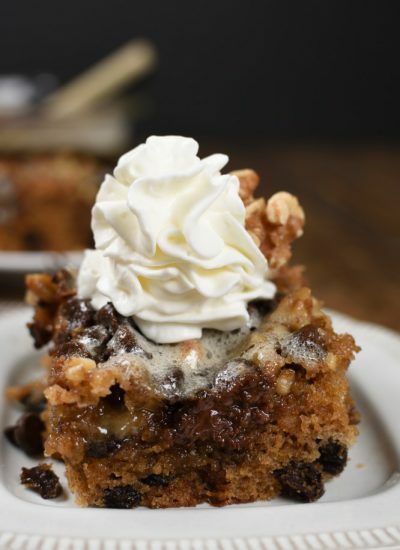 I made these with a few changes based on ingredients I had but they are FANTASTIC!!!! I used chopped dates in place of the chocolate chips (not a chocolate fan for breakfast) and used chopped pecans. They are definitely going to be a regular breakfast treat! That’s a great idea! I bet dates would be fantastic and a little more breakfasty! Glad you enjoyed them!